Animal Care Service has been family owned and operated since 1981. We service St. Louis and surrounding areas, parts of Illinois. We offer aftercare for your pet in a convenient and affordable manner. We have structured our business to maintain the highest standards of cremation available. See our pet urns page for detailed pictures and descriptions of our urns. If you do not see a container you like we can special order something for you. We have known many people over the years that have repeatedly trusted us with their pets aftercare. Our veterinarians know that quality and trust is a must during such a painful time. ACS has been earning your trust with your pets' aftercare for over 30 years. Allow our family to help your family through this difficult time with your pets' aftercare. Click the link to see information regarding our Equine Cremation Division. Serving St. Louis and surrounding areas, including parts of Illinois. 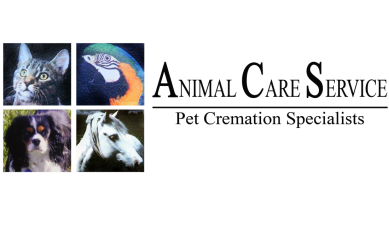 Animal Care Service has been family owned and operated Since 1981, helping the St. Louis and the surrounding areas with pet cremation and after care needs. We know how important your pets are in your life, and we want to make sure they are completely taken care as they enter the after life.